Oakville’s Debra Shelly, born April 23, 1974 was a comics fan, supporter, and self-described (and celebrated) nerd. A lawyer by trade, Debra is known for her years of behind-the-scenes support at Toronto comic cons and other events celebrating comics and pop culture. She was also an active member of many online fan communities such as the Comics Cube and the International Comics Society, establishing friendships with people from all over the world.. Between 2010 and 2013, she was a volunteer at many conventions such as Fan Expo Canada, Toronto ComiCON, the Montreal Comic Con, and at other events such as the Comic Book Marathon, as well as book launches, signings and Industry Nights at the Comic Book Lounge in Toronto, owned by her partner, Kevin Boyd. Debra contributed biographies (Chester Brown, Todd MacFarlane) and legal counsel to the Joe Shuster Awards between 2008 and 2013. 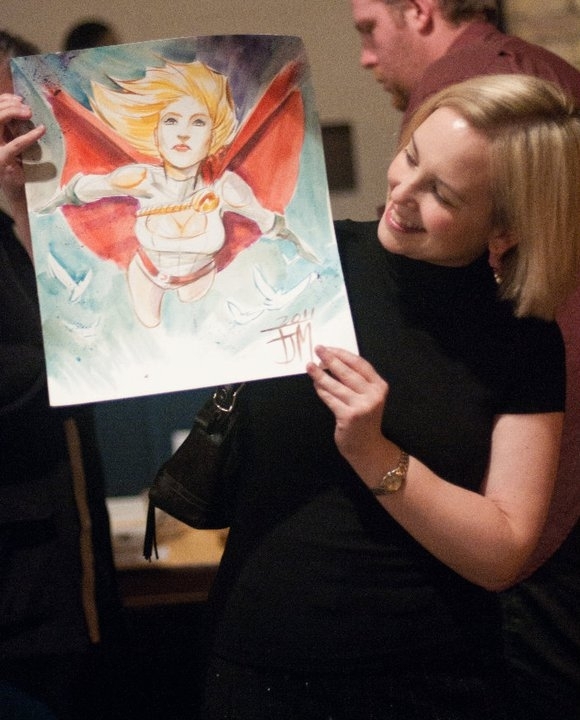 In 2012, she co-founded the Comic Book Lounge’s Ladies Night, a seasonal event that has become a gathering point for women comic book fans in a community still largely dominated by and catering to a male audience. It was a first for the Toronto comics community, and came at a time when the critical question of diversity in comics (readers as much as creators and characters) was gaining serious momentum internationally. Debra was known for her positivity, and did less to criticize the comic community’s shortcomings than to nurture the people, spaces, and ideas that were inspiring. In early 2014 she passed away from a epileptic seizure in her sleep.